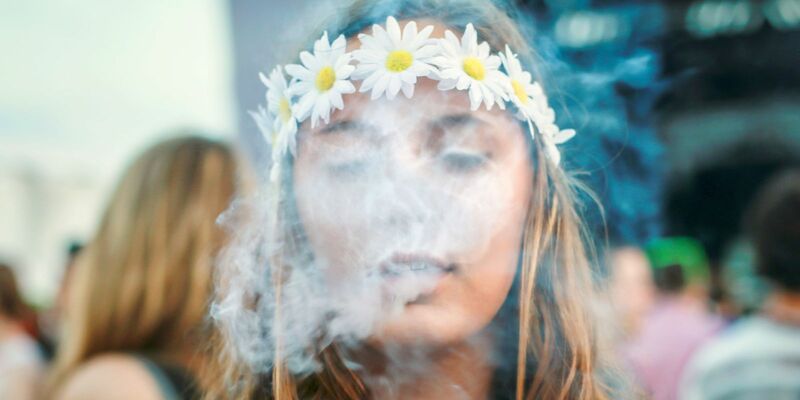 It’s been an ongoing thought that legal recreational markets would increase cannabis use among teens, but a new study is proving that’s just not true. One of the strongest arguments against legalizing recreational cannabis is the potential for increased use among teens and adolescents. However, research coming from states like Washington and Colorado is showing something slightly different. Usage among this age group has stayed relatively the same, despite dispensaries popping up in closer and closer locations. While the numbers show a promising statistic for the cannabis movement, some researchers wonder if the states running the tests already have a higher-than-average usage rate among teens. A 2016 survey conducted by the Washington State Healthy Youth Survey aimed to better understand cannabis use among teens and adolescents within in the state of Washington. It has long since been assumed that states who vote to legalize recreational cannabis will face a higher usage rate among teens. If the numbers showed a higher rate in these legalized states, it would be an important point for anti-cannabis campaigns around the country. Individuals who use cannabis during adolescence run a much higher risk of cannabis dependence and negative cognitive effects because their brains are still growing and forming. However, the numbers have led researchers to believe a legalized recreational cannabis market has little to no effect on the youth in those areas. The 2016 survey questioned 230,000 students about their exposure to cannabis. The results showed that cannabis use among 8th, 10th and 12th graders has remained nearly the same for the last ten years. Among 8th graders, 6% reported using cannabis within the last month. As 10th graders, 17% reported cannabis use, while 26% of 12th graders said they’ve used cannabis in the last thirty days. These numbers might seem a bit surprising, but they have not increased with the introduction of Washington’s recreational market in 2014. In fact, less 10th graders deemed cannabis “very easy” to obtain than in previous surveys. One outlier in the survey is the idea that usage rates among teens were already at the highest levels in Washington and other states with legal recreational cannabis markets. Krista Lisdahl, an associate professor of psychology and director of the Brain Imaging and Neuropsychology Lab at the University of Wisconsin at Milwaukee, points out that cannabis is portrayed in a positive way in states with recreational markets. This leads children to view usage as less dangerous. She also points out the idea that usage among teens is at the highest level in these states. However, seeing their parents give something approval is also likely to cause distaste in their young, adolescent minds. In Colorado, attitudes were very positive towards marijuana, use was incredibly high before they legalized, there wasn’t that much room to grow. The one way to make things less interesting to teens is to have adults think it’s cool. There are many contributing factors, but from the Washington survey results, it seems a legalized recreational market does not increase the usage rates among teens and adolescents.